Let’s say that you’re one of the thousands of people who would like to give currency and commodities trading a try but don’t have time to learn all the different trading strategies, to follow economic data releases or to analyze market movements on a daily basis. Up until now, you would have had to simply give up your dreams of financial glory, but with eToro’s groundbreaking new CopyTrader feature, that is no longer the case! 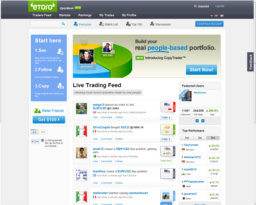 CopyTrader is a new function of eToro’s social trading network. 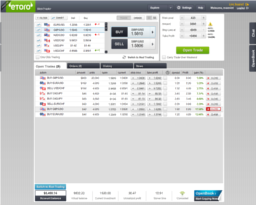 The genius of CopyTrader is that it lets you take advantage of the knowledge and expertise of other traders on a regular basis. All you have to do is choose which profitable trader you wish to follow by looking at the rankings and checking out the traders’ success rate, trading style, number of followers, etc. Once you find the trader or traders for you, all it takes is a click of the button and his or her trades will become your trades. It may sound simple, but this is a genuine revolution in the world of currency and commodities trading, a shift from market-based or financial-instrument-based trading to people-based trading. Instead of agonizing over which currency to buy or sell, the only decision you now have to make is who you want to trade for you and how much of your account you want to dedicate to copying each trader you select. The more traders you copy, the more diverse your risk portfolio. Of course, you still maintain full control over your trades. All the parameters are completely transparent, starting with the spread and ending with the percentage of your balance that is invested in each trade. Don’t like the way a trade is going, or want to capitulate on the profit right away? There’s no need to wait for your trader to make a move – you can close a trade or edit the stops whenever you want. And if a trader’s strategy is not working for you in general, it only takes one click to detach yourself from him or her. The ultimate goal, as you can probably imagine, is to assemble a dream team of diverse traders who you can copy indefinitely and then simply watch your profits accumulate. Unlike Forex robots or paid traders, the traders you copy through CopyTrader have no agenda other than to make profits for themselves, so you never have to worry about them mismanaging your funds. In addition, for the sake of promoting responsible trading, CopyTrader only lets you set aside a maximum of 20% of your account for copying any one trader, to ensure the diversity of your trading portfolio. eToro has also launched a Guru reward program, in which traders with large followings are compensated for all the benefits they bring to the eToro trading community. This will give you even more incentive to succeed in Forex trading. eToro is the world’s largest investment network, with over 1.5 million users in over 130 countries and thousands of new accounts opened each day. Through its community powered network eToro leads the social trading revolution, which enables every investor to see, follow and automatically copy the actions of other investors in real time. eToro’s mission is to open the financial markets to every individual and make them accessible through a simple, transparent and more enjoyable way to trade currencies, commodities and indices online. Based on a wide range of innovative web-based and mobile trading platforms that appeal to every level of trading expertise, eToro’s investment network facilitates information exchange between investors, accelerates knowledge sharing and shortens the learning curve for those who want to bring their trading experience to the next level. – Four tier VIP account program. 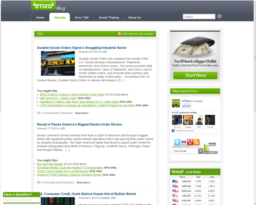 To find out more about eToro and to sign up for a free account, click here.